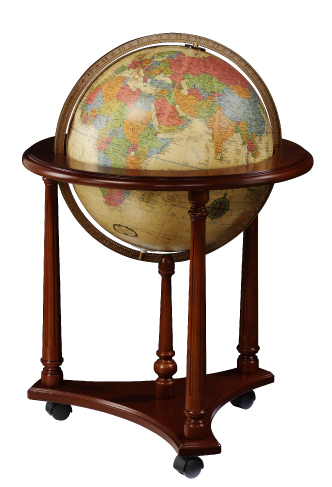 The Lafayette Globe, by Replogles, has Old World elegance that was inspired by Italian craftsmen. 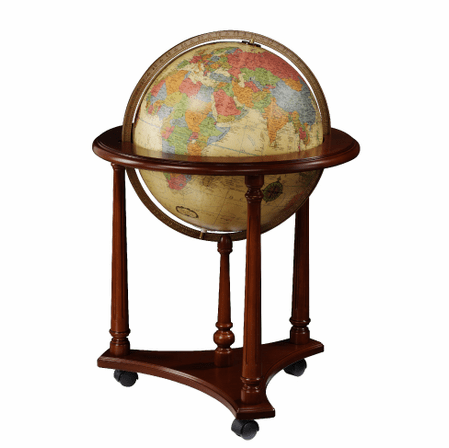 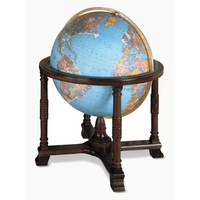 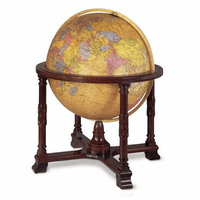 The 16' diameter globe is set in a full die-cast meridian, attached to a walnut-finished base with three carved legs, joined to an ornate three-sided platform, on three easy-rolling casters. 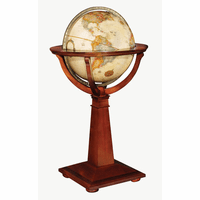 The globe has an antiqued white ocean surface, with countries colored in muted shades, and is lighted from within. 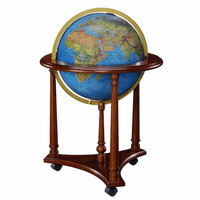 This is a spectacular piece for home or office.